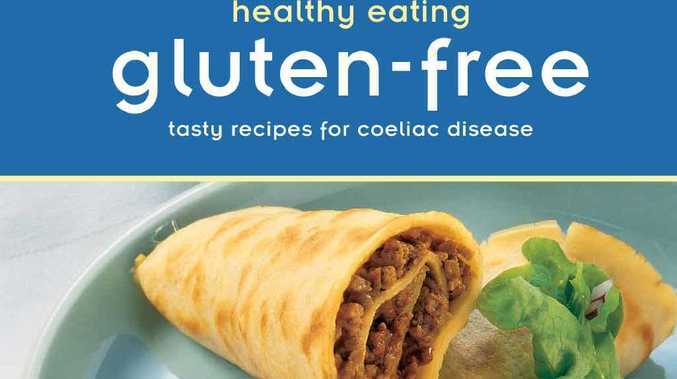 HEALTHY Eating Gluten-free: Tasty recipes for coeliac disease. First of all what does that title mean - do these recipes give you coeliac disease? Speaking as a reasonably well informed coeliac, I'm fairly sure that isn't the case. But seriously, I get pretty excited when a recipe book comes my way with healthy eating and gluten free combined in the title. So I dived into this book with keen enthusiasm. Unfortunately this book falls victim to my pet hate for cookbooks: it was not written or even adapted for publication in this country. So if you are going to buy this book, be ready to Google some ingredients - and to adjust ingredient proportions to suit Australian packaging. For example, some recipes call for a 500g gluten-free bread mix - our bread mixes are 400g or 450g, so you need to use less of the other items proportionally. Frustrating. Having said that, the trick we learned to make white gluten- free bread mixes behave more like bread would be worth the price of the book alone. The savoury recipes were not very exciting or innovative but some of the sweets were lovely. The French apple crumble recipe was delicious and the cheesecake without a base was also nice (although not a cheesecake by anyone's imagination, more of a custard tart without a base. Not that there's anything wrong with that).